Our alumni spotlight series highlights stories from former Jumpstart Corps members as they reflect on their time with Jumpstart and discuss how the experience has served them in their current careers. Do you have a story to share? Want to make sure that you don’t miss any important stories or news for alumni? Join the Jumpstart Alumni Network to connect with fellow alum, stay connected to Jumpstart, and find new ways to stay involved in early education. For this month’s Alumni Spotlight, Jumpstart’s Senior Manager of Strategic Partnerships & Programming Maria Monarrez interviewed Ellie Sanchez, Jumpstart Corps member from 2011 to 2014 at University of California, Los Angeles. 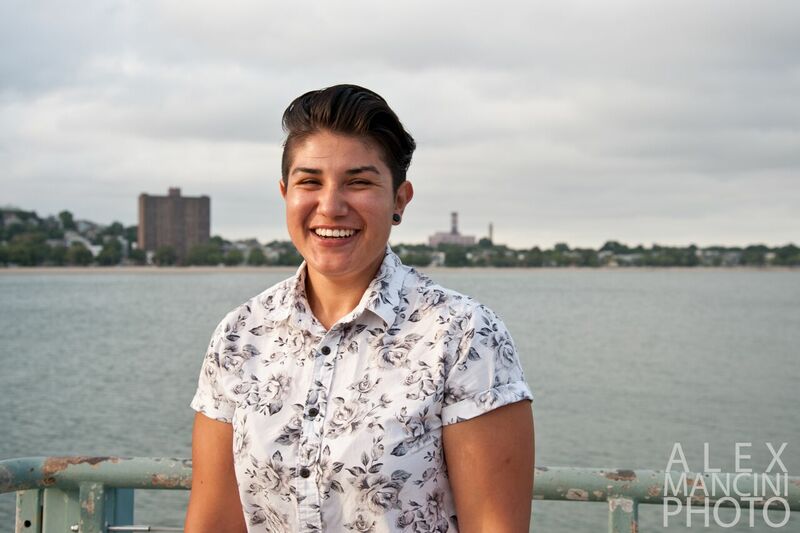 Ellie is currently a Program Manager at Generation Citizen in Boston, MA. What have you been up to? What has your path been since you graduated from UCLA? I graduated from UCLA 2014. As soon as I graduated from UCLA, my next step was to actually leave LA because I was born and raised there. I really was looking for something very different to build my own independence and to continue to learn about education in a different lens and from a different area of the country. I moved out to Boston right after graduation and was a City Year corps. Mostly because I wanted to continue to do service work, and also because I wanted to learn from the Boston public school district and see what they were doing that was different from LA. Through my corps year, I really learned a lot about resources, how resources have been allocated or not, or the lack of resources. I spent 13 hours each day at my school that I was placed in, and I really got to see the ins and outs and connect with students in a really amazing way that I wouldn’t have been able to otherwise. After my city year was over. I actually found an organization that I still work for to this day called Generation Citizen. This organization is also an education based program that works to reform civics education in middle schools and high schools across the country. That means that for a lot of our youth, we are either getting rid of government and civics classes, or they’re really just rote classes where we’re teaching our youth about the three branches of government and then they get tested on it and move on with their lives. It’s never really a relevant piece to their lives about how government impacts you on a day-to-day basis, whether you vote or not, whether you lobby for it or not, whether you select someone to represent you or not, they’re making decisions on your behalf, whether you know about it or not. I basically work to support teachers and bring this curriculum into middle schools and high schools and support them in doing that work so students can see the relevance that government has in their lives and the impact that it has on them, so they can take ownership over that. This is my fourth year with the program, actually. Which is wild to think about. I started as a program associate and currently am a program manager for the Boston site, which is pretty cool. I absolutely believe in the mission. I especially believe it for our young people of color who have less access or have policies being created for them all the time that are against them. Especially now in this day and age. Do you think that education has always been something you’ve been passionate about? Can you share with us how education become a passion for you? I realized that I wanted education to be my career path when I was in high school. I got into an Upward Bound program that was intense. It was with the Claremont Colleges. I like to think of it as academic boot camp, where you get a core of students from Pomona and from Baldwin Park. Every Saturday we go and take classes to help us get better at math or English or whatever we’re struggling with. Then over the summer, we would intern at different colleges and different places. For example, one summer I interned at UCSD in a biochemistry lab. That was my first time really diving deep into science, which was my worst subject. But even being given that opportunity as someone who couldn’t afford to was amazing. Then I ended up also getting an internship through Upward Bound at the Library of Congress in DC. Honestly, if it hadn’t been for that program, I would not have gone to college. They provided me with resources from how to fill out a FAFSA to how to fill out an application to making sure that all the fees were covered for my application to go to college. 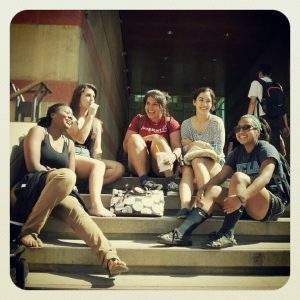 If I hadn’t had that support, I would have never been able to go to an amazing college like UCLA. From that experience, I realized that I really wanted to be a part of something like that. That I wanted to do something like what my Upward Bound internship did for me. I wanted to be that person for other young people like myself who had similar backgrounds and less resources than others. Really, that’s what motivated me to do a work study job in college that had that same mission. That’s how I found Jumpstart. One of my friends was actually doing Jumpstart, and I thought it sounded exactly like what I want to be doing while I’m in college. I loved it. I definitely feel like Jumpstart fulfilled that piece for me in college and continued to affect my trajectory towards education and build my future in education based non-profits. I still have a little album of our students that my team leader from my first year made for us. I still look at it and miss those students so much. I still remember their names and the impact that they had on me. Do you have any memories from Jumpstart that stand out to you? I still have a little album of our students that my team leader from my first year made for us. I still look at it and miss those students so much. I still remember their names and the impact that they had on me. Every single day, I just felt so happy to be interacting with them, even if I had stayed up the night before doing a paper, as soon as I pulled up to the preschools that we were working with, I was so excited and happy to see those young kids. I still miss them. I actually ended up getting my job at Generation Citizen because I had been a team leader at Jumpstart. One of the big roles that I had when I first started Generation Citizen, was managing college students. So if I had not been a team leader at Jumpstart, I probably wouldn’t be at Generation Citizen, which is amazing to think about. I was in Jumpstart for three years. I still have a lot of the memories with me that are tangible memories of the young students that we worked with. I sometimes will go into a bookstore and see Make Way For Ducklings – It always takes me back to reading with our students and walking them through this long book about Boston. How else has Jumpstart had an impact on you? Yeah for sure. I definitely think that it made me more accountable. Often times as a college student, you’re so overwhelmed with everything that’s happening and all the freedom that you have. I think it helped me realize how accountable I was in everything that I did, not just to myself, but to other folks and to other people that I was impacting. Oftentimes you might have issues with somebody showing up on time or having a lesson plan ready. I think very early on, If I showed up late, if I don’t have something ready, if I’m just going to go and not make anything productive, then the disservice isn’t to me, it’s to the students that we’re working with. I carry that very deeply in everything that I do. It’s definitely helped me build that and make sure that I lead with that mentality in every training that I do with other volunteers or with other young people who are trying to do this work. Making sure that they’re doing it effectively, because they’re accountable to these young people and to our youth, and to making effective change. I also feel like it definitely made me a really strong leader. I think that when I first took on the team leader role, I was definitely more of someone who sat back a little bit and just let somebody else tell me what to do and it worked out well, I definitely was someone who’s always been a good team member and have support with whatever is needed. But I also needed to step in a little bit more and become more of a leader with my team and within Jumpstart as someone who had been there for three years. That definitely set me up for success when I got my job at Generation Citizen, to be able to take on that much ownership of the program and to be able to step up when I needed to. What do you think are some of the most pressing challenges now with our education system? It’s interesting you bring up that question, because I actually decided on Boston as the place where I would move to because Boston has been so praised as one of the best public education systems. I came from the lens of I want to come here so that I can learn about what it is that they are doing and bring it back home to LA with me one day. I actually came out here, and I was deeply devastated by what I saw, because a lot of the issues that are happening in LA are happening in Boston with lack of resources, with teachers not having enough support in the classrooms, with teachers having not enough lined paper in their classrooms so that students can write notes. It’s just these little things that really changed the story of our students and what they can really learn from in their classrooms. I think that there needs to be a mass investment in education and it needs to be prioritized as something that’s necessary, that feeds every single field that we have in this country. I don’t think teachers are seen as necessary. They should be looked at as doctors, because they really are. They’re creating the next generation of doctors, and they should have that prestige on them, and they should be getting paid accordingly. It goes way beyond that. I don’t think we treat our teachers right and that’s devastating. We need this country to invest more resources in our education system, 110%. Is there anything else you would like to share with Jumpstart’s alumni? Absolutely. I think universal early education is so important and vital. It sets our young people up for success. Definitely always be an advocate and especially on the policy issues that are affecting these things. There are so many ways to support. It goes beyond voting. It goes with calling your local representatives, your mayor, the people who are making these decisions for you. Obviously continuing to support Jumpstart. I know that I follow Jumpstart still on Instagram and I like all the posts. I love seeing our preschool kids still out there reading all the books that I used to read to them. Definitely continuing to support.